Listen to a summary of today's top stories from 9to 5Mac. 9to 5Mac Daily is available for dedicated RSS feeds for iTunes and Apple's Podcasts app, Stitcher, TuneIn, Google Play, or cloudy and other podcast players. The new September 5 episode is recorded weekly. Subscribing to a podcast with iTunes / Apple Podcast or your favorite Podcast player will be delivered as soon as new episodes become available. 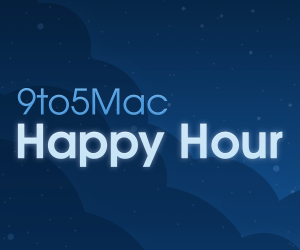 Please drop us a line at happyhour@9to5mac.com. You can evaluate with the Apple podcast or recommend us in a cloudy place so that more people can discover the show!